Asacol (also known as mesalazine or mesalamine) is an anti-inflammatory drug used to treat inflammation of the digestive tract, ulcerative colitis and Crohn's disease. Because the drug can cause kidney failure, a rare complication or side effect of the medication, doctors are warned to check kidney functioning before and during the time a patient is taking Asacol to avoid injury. ​You're not alone if you've developed kidney damage, injury to your kidneys or kidney failure after taking Asacol. Other patients have reported the same. 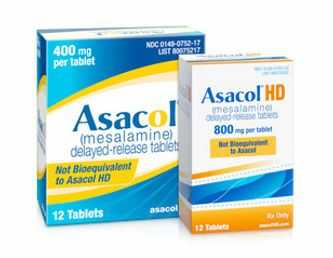 Some now require dialysis or kidney transplant after taking Asacol. Are You Suffering From Injuries Or Side Effects Of Asacol? The Piscitelli Law Firm handles Asacol kidney damage/injury or kidney failure cases nationwide. If you have taken Asacol and now have kidney damage or kidney failure, or now require dialysis or a kidney transplant, let our team of Asacol malpractice lawyers review your case. We have recovered millions for victims of Asacol medical malpractice. In nearly every case we review, the doctor who prescribed the Asacol failed to screen and monitor the patient's kidney functioning. A simple and inexpensive blood test could have prevented your kidney damage or kidney failure. The Piscitelli Law Firm offers free initial case evaluations. Learn more about your options by calling 216-931-0170 or emailing our Mentor, Ohio, office. Our attorneys take cases on a contingency basis, which means you do not owe us fees unless our lawyer secures a successful outcome for you.